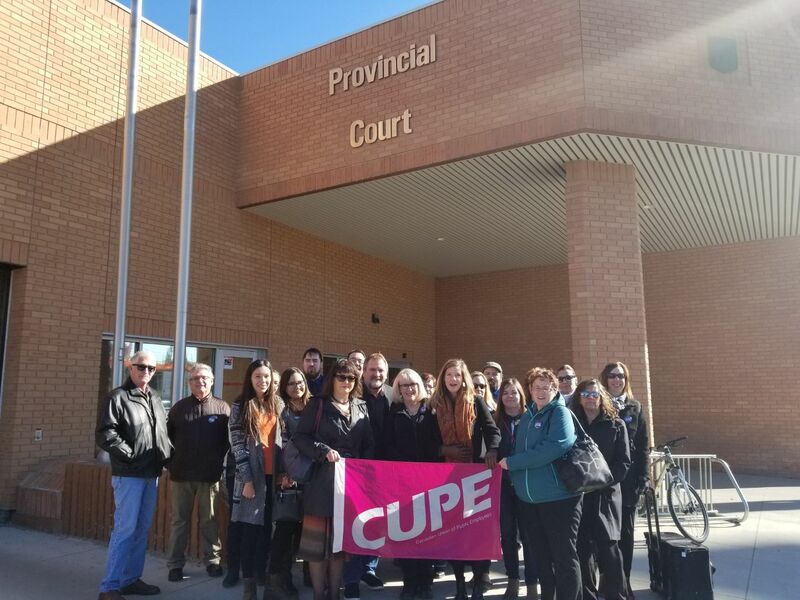 Through a mediated process and with the assistance of retired Justice William Vancise, Q.C., Saskatchewan Legal Aid and CUPE Local 1949 have reached an agreement about issues in the Saskatoon Area Office. 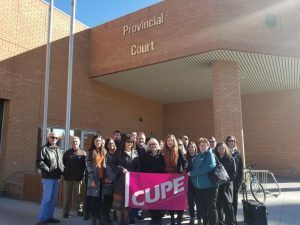 CUPE Local 1949 filed an unfair labour practice claim with the Labour Relations Board after Legal Aid management moved to contract out duty counsel work to the private bar and to lay off several Legal Aid employees. Upon the resolution of this matter, the union is withdrawing its unfair labour practice. The agreement, which was signed on November 22, 2018, resolves the claim by bringing some duty counsel and support work back in-house and creating mechanisms for reviewing issues. Craig Goebel, Legal Aid’s CEO, commended the efforts of the mediator and negotiators, stating that the outcome helps the organization to move forward and to take advantage of opportunities to improve its service to clients in Saskatoon and province-wide. CUPE Local 1949 represents more than 150 legal aid employees including lawyers and administrative staff in 13 offices across Saskatchewan. Legal Aid Saskatchewan provides a range of legal services in the areas of family and criminal law to low income individuals in Saskatchewan.